I love Susan’s Vampire’s Promise series, and when I saw the first one in this historical series I thought I’d like to read these books. A historical trilogy its a very big departure from the supernatural world! I loved book one, have just finished book two (read the day I got it!!) and am keen to see how things wrap up. Luckily there’s not too long to wait, book one is Jan 9th, book two Jan 31st and book three is scheduled for Feb 18, so not one of those where by the time the end part is released you’ve forgotten how it started. Rian is the archetypical, dark, swoon-making hero, and a true gentleman. Someone who had vowed never to remarry after the death of his wife, but who was known for his affairs, though each lady knew that they would never mean more to him. 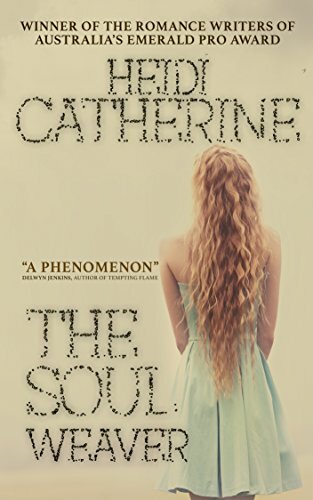 Then he found – literally – Catherine and his thinking has undergone a huge change even if he’s not quite ready to admit it to himself. 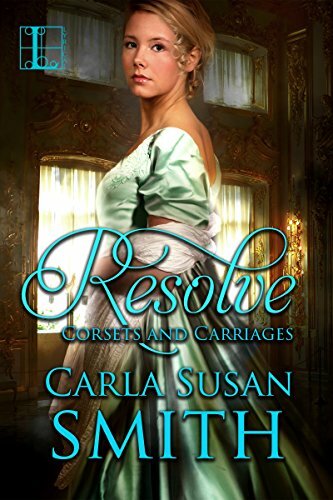 Lady Isabel though is determined to be the next Mrs Connor, regardless of what Rian wants or feels, and she isn’t going to let him having feelings for someone else stand in her way. She’s a rich widow and has the money to “persuade” others to do what she wants, and removing Catherine is her current desire. She really is a wonderful character, one of those who are totally selfish, manipulative and have no care for others. Of course there’s Catherine, recovering well, developing strong feelings for Rian, becoming part of the Connor family and loved by them and the staff, but who still has no memories other than her name. Slowly things happen that are bringing back little parts, and her confidence is growing. Isobel doesn’t like that she’s still there and there’s a fabulous private confrontation between the two fairly early in the book, that shows Isobel she’s not the pushover she hoped. Ultimately I think Catherine will be in real danger from her, though Isobel has everyone else ( apart from the staff of course) hoodwinked about her motives and machinations. 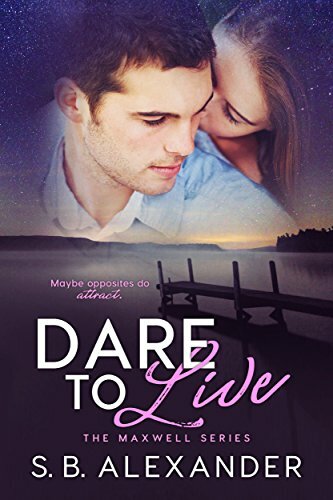 Its another wonderful read and though its part two of a trilogy Carla avoids the awful, hated cliffhanger employed by so many authors – I hate them with a vengeance, and TBH they spoil a book for me. Carla finishes this on a natural break point, setting up book three and delivering a tantalising description of what’s to come. I’m not a great historical reader but I do love to occasionally dip into the genre, and this trilogy is proving a perfect read for me. Stars: Five, some fabulous characters, what looks like an awful betrayal, and the promise of lots more drama to come. I adore books with lots of jealousy and dramatics. Gosh what a book this was. Its a romance…and yet it isn’t. Its full of sadness, and yet a core of happiness persists. The characters are like-able and yet possess some very dislike-able traits, and vice versa, even those I dislike had redeeming facets. Its a real conundrum of a story and its very hard to review. Did I like it? Yes, and yet there were parts I felt really dragged, times when I just wanted Something, Anything to actually Happen. I felt for Nirvaan, dying far too young after a years long struggle with cancer. That’s tough for anyone to face, and yet he does it with dignity. However he’s also pretty controlling, pulling everyone’s strings to make what he wants happen. Is he being selfish? Or is he just doing what he believes is the best for those he loves? There’s no doubt for me that he loves Simi and Zayaan, but does that mean he knows what’s best for them? Simi loves him, and yet despite the way she so obviously pushes him away now we know she also still really has strong feelings for Zayaan, perhaps still loves him too. She’s had a difficult time since her parents were killed, and still carries a heavy secret that affects all three major characters. Zayaan, he’s something of an enigma, I can feel he loves Nirvaan, and it seems he still has feelings, strong feelings for Simi. and why not? They were going to marry at one time, until they all went in different directions. Its a hard story, seeing Nirvaan face up to dying, being with him when he faces yet more treatment. Of course his family would give all their money – and they have lots – to have him healthy again, and try to persuade him to go to a very expensive private facility that promises a cure. Sadly, having had cancer myself, I know too well how these ar sehole people prey on loved ones, persuade them that they can do the impossible, promise a cure that just isn’t possible. Cancer can behave weirdly, go into remission for no obvious reason and the odd occasion that happens they take credit, ignore the 99.9% of patients who haven’t been “cured”, blame their lack of commitment etc. Gah, I’ll step off the soapbox now. It just makes me so angry that people get used when their at their lowest. Among that sadness though their are moments of light, reminders of the happy life they all led as children, snippets of humour, and wonderful sections like the camping/hiking trip with the seal pup. Those little touches of light lift what could be a dragging down, melancholy novel. I enjoyed the cultural side too, where they talk about religious differences, where we learn about how they do and don’t stick with their heritage, where the food and habits are described. I love that feeling of India even though its set in US, and found this part really interesting. Overall I’m kind of conflicted. I enjoyed reading this but didn’t love it, wasn’t gripped to the page desperate to know what happens next. It gave me lots to think about. Would I have reacted as Simi did when faced with the same situation? Was what Nayaan did controlling, or was he just doing what he knew Simi wanted to do but wouldn’t left to herself? Was Zayaan sitting on the fence, here with his best friend and his wife, the girl he once intended to marry, when waiting back in UK were the rest of his family, and his girlfriend, who he knew his mother was expecting to become his bride? Was his mother really such a bad woman or was she just being what she felt was a good mother? The questions raised for me spiraled long after I’d finished reading. It’s not a book I’d reread, and there were sections that just draaagged, especially when we were seeing Simi’s thoughts. Usually I like that, gives me an idea of how a character is really feeling, but for me her internal musings became long dull monologues at times. Stars: four, an interesting story, full of detail giving me lots to think about but at times it was so slow it was hard going, and that brought it down from a five for me. *sigh* Women’s Fiction – just why? Why exclude men, why shouldn’t they enjoy romance too? Many of them even write romance so why do we cut them out like this? I was sucked in by the description, and didn’t notice it was book five til too late. Still, each are stand alone reads so it wasn’t a huge issue. I think though if I’d read earlier books I’d probably have got more from this, as it is its a decent read but didn’t have any magic for me and I found myself putting it aside for something else several times. Given there’s a slew of reviews from people that adore the story clearly its one of those reads where its Me not the book that’s out of step ;-). I hadn’t realised Kody was so young, just 21, and Mack too was similar age. Somehow I’d got the idea the characters were all late 20’s early 30’s. It only matters in that for me at 21 he/they just haven’t usually experienced enough of life to be so mature in outlook, to be so decided about family, kids etc. Most guys at that age are still finding their feet, deciding on priorities ( Beer!!) I’m using a very rough generalisation there of course. Then there’s Jessie, a little older but wow – that girl has the trails of job. Still grieving her mum’s death, who has her older wheelchair bound brother for whom she feels responsible, the financials of their struggling business and the breast cancer gene scenario to deal with. On top of that she gets even more drama heaped on as the story flows, accident, obsessive behaviour from an ex one nighter, possible singing stardom…. In a way I felt there was so many things happening here that it was hard for any one of them to really form a solid part. The story seemed to be so packed. Even Kody’s parents were multi layered and had lots going on. I often whinge about too simple, one plot reads, but this almost went to other extreme. Again, if I’d been following the series I think it would have flowed naturally, instead all these events and characters seemed to overload the romance between Jessie and Kody for me. My bad for not being observant enough, and if you’re in a similar position I’d say start with book one. Stars: A good story but which didn’t really make more than an OK read for me though. Quick moan as usual about Woman’s fiction – why? Just why do we exclude a whole segment of readers? Men can and do enjoy writing and reading romances…. Republished from a 1969 story, but doesn’t feel dated, the advantages of a historical novel I guess. Its a fun read, I don’t review many historical works, but like to take a dip back in time for a change from whatever else I’ve been reading, especially if its been a heavy suspense or intense fantasy work. Kind of recharges/refreshes my brain. Camilla was a lovely girl, lucky too, but a book where she ended up on the streets and died wouldn’t be much fun would it 😉 Or long…I liked her willingness to try and make her way, her determination to make the best of every situation, and of course her loyalty. Lord Leominster seems quite a cold guy when we first meet him, but he has his reasons, and he’s kind to Camilla, and to his wayward younger sister. Much of the story takes place in Europe at the height of the French/English/Spanish wars and Leominster is heavily involved uncover in some dangerous work. Camilla once again needs to pull together all her resources and do her best to keep them all safe. There’s some drama here, quite intense at times, and of course some romance, but which is very muted, more a slow kindling of love coming from mutual respect. Its how things often were back then though, with so many arranged marriages, so where it would have irked me in a contemporary romance it felt perfect here. I did like the way things got bad before they became better, I do love that lost love potential dramatics in a romance and here it worked well for me. Stars: Five, a fun and interesting read, felt very period appropriate and with some terrific characters. So, there were things I enjoyed about this story and…parts I hated. I loved the way that the past felt so real, the little touches like the music and settings that really brought me back to the 70’s, my teen years. I so admired Jackie in the way she raised Gina, didn’t whinge about Tony, just got on with being mother and father to her, providing a happy and stable home. What I found so hard though was the way she was so infatuated with tony, made excuses, returned to him again and again it seems, and I just couldn’t see why? The guy is a jerk, a selfish, spoiled only child who thinks everything should go the way he wants, and anyone blocking it is wrong. I need to like my leads, and to be honest I hated Tony. Really really didn’t like him, and thought Gina deserved a better father, and Jackie a better man. Usually I love characters like Carmela but in this instance although she was wonderfully unpleasant I couldn’t see why on earth Tony was attracted to her. The way the story was told too didn’t quite suit me, I like dialogue based books where the plots are shown, not ones where the story is largely told, by way of narrative or a characters inner musings. That’s a very personal issue though, not a criticism of the story. We all like different things. 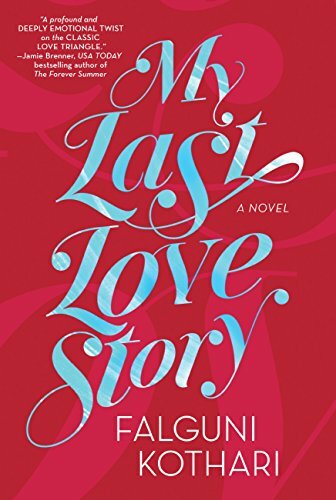 I did like the drama in it, if only Carmela had some redeeming features that made me see why Tony wanted her, and if he’d had a shred of pleasantness about him I could have really enjoyed this story. 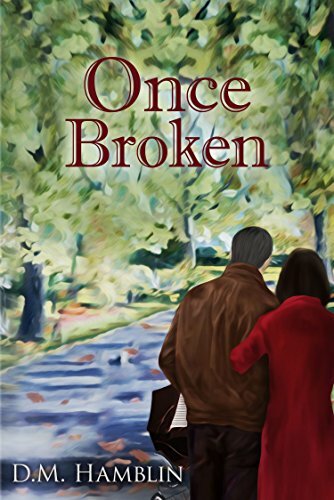 I didn’t really feel it was a romance as I understand it, most of the book was romance gone wrong, and for me that wasn’t really satisfying. 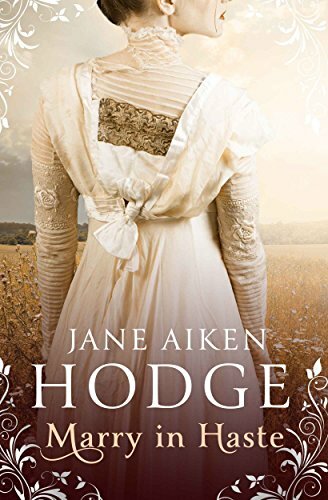 As it was its one that was an OK read for me, however it might just be this story, not the author’s style, that didn’t suit and I’m intrigued by her next book which is on KU, so I’ve downloaded that to try. Stars: Three. Will be great for some readers, a five star read but which didn’t make that for me. Sometimes I just want to read a simple easy romance, and this was perfect yesterday when that was my mood. I’d just finished an intense fantasy read and wanted something to relax with. Stella is lovely, and I felt so sad that she hadn’t any decent family, and her childhood left her so reserved she didn’t even have any real friends. No wonder she was taken in by the jerk Brad, who neglected to tell her, outright lied when asked, that he was engaged. That’s not how his ex-fiancee sees it though, to her Stella is what Brad tells her, someone who came on to him, seduced him, knowing he was engaged, and wouldn’t stop harassing him. 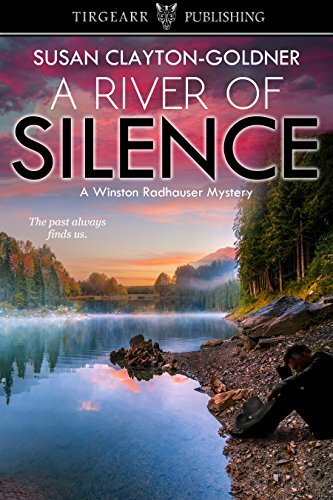 Her brother hates to see her so upset, so he determines to find Stella, get answers for his sister, and find the missing heirloom they believe she has stolen. When he sees Stella though he’s hid by an immediate bout of lust, an attraction he feels hard to ignore. At first he’s all in her face, but when he calms he thinks on what she says and realises it makes sense, it fits the person she is and who Brad is, who he always had doubts over. And that attraction – it just won’t go away. Trouble is what happens in Scotland doesn’t stay there, and some weeks later they reconnect. It isn’t easy though, they don’t know each other, his sister hates her, both Stella and Jack have reasons for not being in a relationship. Is there any hope for them? Well, it was a great story seeing all the issues and how they affected the story, how both Stella and Ben reacted to them. I really enjoyed it. Its not a story I’d re-read, a little light for that but one I loved as a one off read. Stars: Five, a fun, easy read, that pulled at my emotions. Sorry for the lack of reviews this week, a vicious D&V bug hit me, unable to eat, to keep even water down at one point I haven’t turned on pc since Monday morning…. My third story from Susan, and for me each gets better and better, and this one is definitely my favourite. It reminds me a bit of Jodi Picolt’s writing, in the way that reading the synopsis makes me feel one thing, and as the book continues my opinions get changed. I look at incidences from different viewpoints and feel sympathy for people that I may have disliked to begin with. I love Bryce, such a kind man, but with his own past tragedies. He’s trying to rebuild his live and adores Dana’s two boys. Radhauser too is a man with a tragic past, and I really enjoyed seeing so much of him and his family here. I love the way Susan links up Bryce past, Radhauser past to the present incidences, and shows how what happens to us does affect how we think, behave, perceive things and other people. 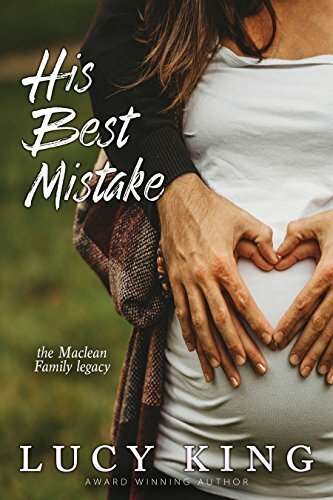 Radhauser sees Bryce and like many immediately think he’s been drinking, but when he finds out Bryce is hearing impaired, sees just how deep his love is for the children he feels he can’t be guilty. The media as ever though is baying for blood and Radhauser’s boss demands a suspect to keep them quiet. Sadly I think that happens far too often, that media publicity means the police are looking for someone to blame, not necessarily that actual guilty person. Gah, that’s my soapbox for today! Kendra, girl of famous legal father, rich family but wants to blaze her own trail, and Bryce is her first public defender job. Radhauser has had to arrest him, though he made his views clear that Bryce is innocent and someone else to blame, but as far as the police are concerned its case closed. Radhauser continues to dig in his own time though, and to help Kendra where he can. Its a tragic story, full of suspense, and one of those where we feel out the story, look for who’s to blame from the clues we’re given. I was convinced it was XXXXX but was wrong, 😉 and loved that. Once the full story comes out it’s so logical, so easy to see how it happened. I love that its not a one plot story, but multi layered, there’s Bryce and the death of Skylar, and the tragedy from Bryce past, Skylar’s and Scott’s mum Dana, she’s just 20 and struggles with being a parent, her relationship with Reggie, her ex now her present once more. Then we have Bryce’s neighbour, the wonderful Miss Tilly, Bear from the diner and his son Henry and the issues they have, Kendra and her battle to become someone other than her father’s daughter, and of course Radhauser, his past loss and his current family and the problems they have. It makes for a really satisfying read, one well written and researched, one that I loved and will reread. Some books I love, others not so much even though its clear other readers adore them. This is one such read. I really didn’t feel any chemistry between Mayson and Holt, they respected each other as business individuals but that was it. No love, no lust, the most I can feel between them is a faint like, and that doesn’t work for me in a romance read. I want to feel they just can’t keep away, they have to touch, caress, kiss all the while ( well, within reason ). I only read this yesterday and I’m having a hard time this morning actually recalling what happened. 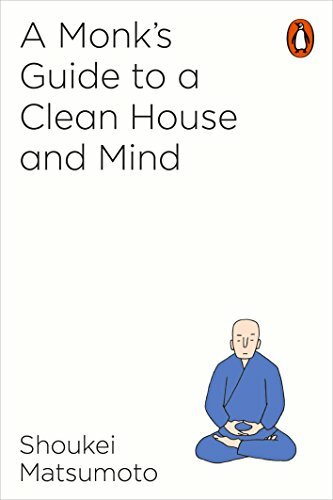 It just wasn’t a read that made it for me, although of course its perfect for others. I need drama, angst, emotions and plots that make me feel will things work out, are there just too many things against them, scenes where it’s the couple v whatever plots can tear them apart. This book, well I didn’t get any of that. I hadn’t read book one, though they’re stand alone reads so that wasn’t necessary, but might have made some events clearer. Stars: 2.5/3, it was a story that was a forgettable read for me, but which will be perfect for other people. You choose. I’d enjoyed Sariah’s first Monterra novel, didn’t like the second much, so I had mixed feelings about this read. I enjoyed it pretty much as the first Monterra one, funny dialogue but a few issues with plot. Zoe’s a great girl, I loved her younger siblings, when she was with them there were some great times, typical kid centred humour, and when Chase joined them, that day at the beach for instance, I really had fun reading about them and it tightened the connection between him and Zoe. I did think given the * star * Chase is there would be more fan issues and more of the paparazzi out to photo him. Usually a Mystery Woman sighting would send them into a frenzy, but it seemed very muted. Chase too is a great guy, he’s very genuine, been in the business sometime, and is jaded from the usual people who surround him. Apart from a couple of close friends he feels everyone wants something from him, tells him what they think he wants to hear and not what they really feel. That must happen a lot, its the nature of fame sadly. He makes a change too from the usual I Am Important film star/rock star type. Its good to see someone who can see through the fakers, and who values his good friends. When That Event comes, the Big Split drama, I understood how he felt even as I felt so sad for Zoe. We are shaped by our pasts, what happens back then does influence how we act, speak, feel now, and this was a perfect example from both sides. The things that stopped this from being five star were those issues, plus the huge one of Zoe and her friend. Would she really have been like that with a friend she’d had since childhood? I know she was making excuses to herself, but its something that we could see was going to cause huge issues when revealed. I didn’t think she would have acted that way, it wasn’t in her nature. It just felt wrong to me, jarred from the very first and was such a major part of the book. Still, it does provide for some fabulous drama, and I adore all that and the angst that comes with it. The fallout was perfect, gave me all the sadness and grief I love to wallow in…. but I so wish the catalyst had been different. I didn’t see the other big trigger event, noted it when it happened but it was slid in so deftly that I’d forgotten about it until the big bang so to speak. That was perfect, exactly how I love drama, when things come up that either I’d forgotten or didn’t know so it comes as a surprise. Stars: 4, a really fun read, full terrific characters, and with the exceptions I’ve mentioned, felt very real.